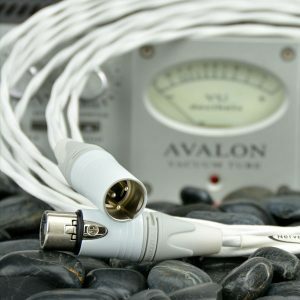 The Axon 18IN-R is an audiophile quality hand terminated instrument cable designed for both studio and stage. The source end features a right angle gold plated Neutrik silentPLUG™. 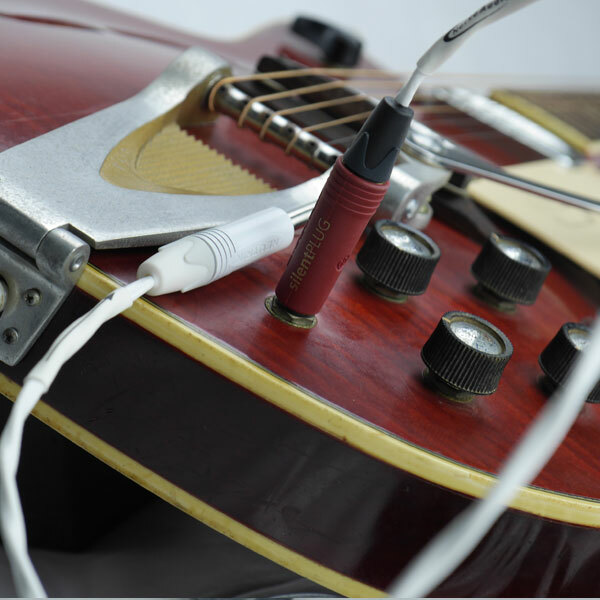 The right angled silentPLUG™ automatically mutes (shorts) the instrument (guitar) cable to avoid pops and squeals when changing the instrument under load. The integrated silent switch is based on magnetic REED-technology and guarantees a lifetime beyond 10,000 mating cycles. The new PX silentPLUG features a rugged metal shell enhanced with a rubber cushion overlay for improved shock protection. The destination end is terminated with a matching series white shell Neutrik silver contact 1/4″ phone plug. The 18IN-R instrument cable features two high purity Silver plated Copper 18AWG conductors and is manufactured in the U.S. Each conductor is comprised of 19 ultra fine individual wires wrapped in a ultra low dielectric PTFE insulator. Conductors are shielded in a Silver Plated Copper braided shield with 75% minimum coverage. Available in stock lengths of 15 and 30 feet, however custom lengths can be custom ordered from our in house hand termination department.